When we posted the latest Publishing Service Index earlier this month, we had a great deal of feedback and many comments and questions about how the data is compiled for the index. What struck me about some of the comments was how some authors interpret and put it to use in their search for a self-publishing service provider. I thought I would take the opportunity in this post to explain a little more about the criteria behind the Publishing Service Index and how I think authors can best use it as we move into 2015. Firstly, the Index is something TIPM began providing about four years ago and needless to say it has developed and expanded over those years. When the Index was first released it included about 40+ services providers and it now features 94 companies. TIPM has provided individual and in-depth reviews on all these companies. I’ve actually carried out more than 150 reviews. Many companies have gone out of business or merged since TIPM began in 2007. At the outset, I want to emphasise that the Index is not a sole representation of these individual reviews. The reviews only form one of multiple criteria analysed and measured to reach an overall Index rating you see when TIPM releases the Index most months. 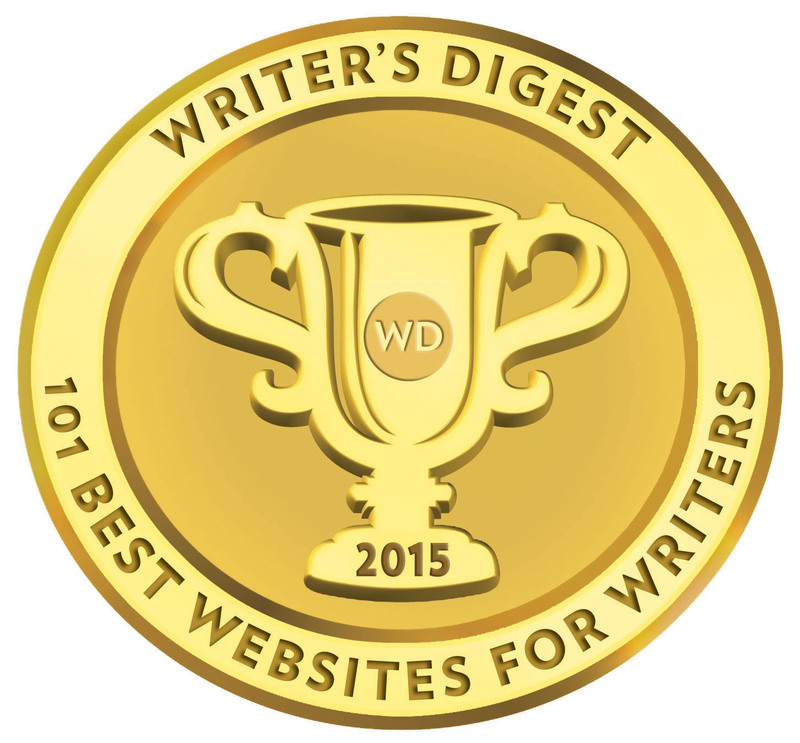 Self-publishing service providers come in all shapes and sizes, with varying levels of experience and reputation. At times it can be like comparing apples and pears and this is why a company is rated on its services, claims and delivery of these services to customers. As an example, the Index has to rate a company like Lightning Source based on what it does for authors, not what authors would like it to do. The Index can’t punish or rate Lightning Source poorly because it doesn’t provide editing or marketing services. That would be a little like visiting your local Walmart and rating it poorly because you can’t buy a Cadillac there. 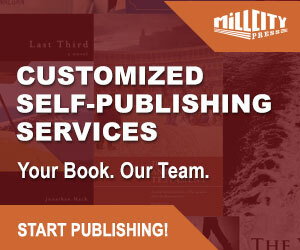 Crucially, and because the Index reflects a myriad of companies offering some or all of the services an author needs to self-publish, an author must have some appreciation of what depth of services he/she requires. That means examining what services you need as an author, the skills and input you can bring to the table for your book project before you even consider what company or combination of companies to use in the Index. Let’s take a look at how the Index classifies companies. Now, let’s take a detailed look at how the Index applies its criteria to rate companies under the above classifications. This is the output of titles produced by a service provider on behalf of authors since it began operations. The Index is formulated in a way which does not favour companies with a high volume over smaller companies with a low volume. This specific criterion value reflects companies that release a large volume of titles in short periods of time and it also reflects companies during periods where nothing is released. The volume of titles produced by a company can quickly identify a company which is nothing more than an author mill, or a company in financial difficulties or staffing shortages. TIPM looks for consistent patterns in this area. Again, this criterion is not formulated to overrate companies with a longer track record in the service industry. We graduate older companies on a scale which takes into account the volume of titles per year, rather than simply rating a company in operation for ten years with 5000 titles over a company with 500 titles over 5 years. This is a good example where a single rating figure derived from one criterion can’t be reached without a formula relationship with other relevant criteria. We try not to complicate this area and feedback to TIPM reflects that price and value for money on services is important. This criterion is also tied into distribution and service range. This is an individual review rating (0.00/10) and one we attribute to all companies in the Index. You can find it at the bottom of all the reviews TIPM carries out. This rating is not set in stone. It can and will vary as the company’s services develop over a period of time. Depending on the company and the changes made to services, TIPM will list updates at the bottom of all individual reviews. When we see a company has changed its offerings or shifted its model of business, we completely update/rewrite and review the company again. All newly reviewed companies receive a provisional rating until ‘floated’ into the Index for a couple of months. This can change because we only consider direct author feedback after we have reviewed a company. When a company and its services are reviewed, we try to examine things from the perspective of an author choosing a self-publishing service provider. We have to examine what is presented and how well services are detailed and explained to authors. Many authors will make up their minds very early on about how comfortable they feel about a company and whether they can find answers to questions they have. That can often happen before an author ever makes the decision to directly contact a representative of a company. I don’t think some companies always appreciate this point. TIPM is always happy to discuss a review with a company and address assessments or conclusions we have drawn if the company believes them to be unfair or inaccurate. We ask all companies to keep TIPM up to date with news of new services or changes to existing ones. In general, we find that overall companies are very positive and proactive about communicating changes and developments. Indeed, there are many occasions where a review in TIPM has led to a company improving services or making their contracts and terms more author-friendly. We don’t see company reviews as a one-way street. This is a complex and large area of appraisal. All published reviews on TIPM are open to comment and feedback. This allows authors express their views and experiences with a company’s services. These comments are available at the bottom of all reviews on TIPM and are often even more illuminating about a company’s service value and reputation than the review itself. No matter how thorough and subjective a review is, nothing better reflects the direct experiences of authors. It is also an area where the company itself has a right to reply, and some of the reviews have discussion and input from the company in the comment sections. TIPM also receives a great deal of feedback privately from authors and companies – week to week – often information I cannot share publicly on the site because of issues of confidentially, including arbitration or mediation between parties; impending class action law suits or various legal processes; impending company developments by way of sale, acquisition, administration or bankruptcy. Comments and feedback which can be verified, whether positive or negative, affect the rating formulated for this criterion. We do not take into account anonymous feedback or hearsay. This is a measure of the range of services provided by a company. Again, as I explained earlier, the rating only reflects the range of services within a specific area: for example, a printer would be rated on its range of printing services for authors (perfect bound paperback, hardback, trim sizes, POD, short print runs and offset, colour books, special presentation offerings, warehouse and fulfillment facilities); an author solutions provider would be assessed and rated as to whether it includes services like editing, cover design, promotion and marketing services. We decided to separate out distribution (wholesale distribution and dedicated sales representation) primarily because it is such a critical area of self-publishing. Distribution appears to mean many different things to authors and companies. To some companies, distribution amounts to nothing more than making an author’s print or e-book available on their own online bookstore. To other companies, it might mean using Ingram’s wholesale network for print-on-demand titles. The best companies that offer full distribution understand the difference between listing books with wholesalers and actually having a proper distributor partner armed with a sales network pitching to the trade booksellers. We examine and rate just how far-reaching distribution is with a company. Each year TIPM tests all the companies we have reviewed against each company’s author support and customer services set-up. This means rating companies on how forthcoming, responsive and transparent it is based on a series of questions. We know the right questions to ask and it can often be quite revealing as to how a company operates and treats its prospective authors. This test requires extensive man-hours and time. The last test we carried out took eight weeks and occurred in late spring and early summer 2014. At the outset, I think authors need to first understand what their requirements and expectations are before self-publishing. That means an author has to assess their own skill set before deciding what services they are going to need. Without doing this you can’t hope to match your requirements up with the best services and company(s) suitable for your book publishing project. I think this is the primary reason why authors end up utterly baffled by the myriad of choices out there. It’s also just one of the reasons why I became a publishing consultant. No two authors are the same, and no two companies are the same. Some companies specialise in particular services, others offer a whole gamut of services — some presented in packages or presented from an a-la-carte menu of services. A great deal depends on how much of the work authors wants to contract out or take on themselves — whether this is doing your own cover design, or preparing an entire book file ready for publication. Contrary to what you might hear, there is no absolute right or wrong way to go about self-publishing. It’s what works for you and meets your aspirations and expectations. 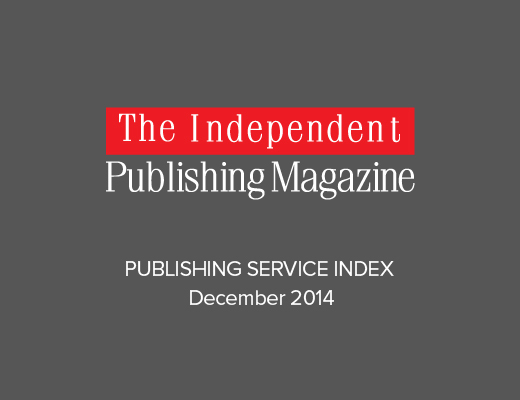 The Publishing Service Index is built on hard and fast data and author feedback. While it is not presented as an exact science, it isn’t built on a bias towards DIY self-publishing platforms or fully assisted self-publishing companies. Some feedback about the Publishing Service Index has suggested that DIY companies are too highly rated and that many authors need assistance when they self-publish. Others argue that we rate ASP (Author Solutions Providers) too highly. And therein is the very reason why I think we have the balance right! Unlike authors, and what they think is right for them (and apparently other authos), we can’t reflect ‘one way to self-publish or the highway’ because some authors feel it is the right way for all authors. 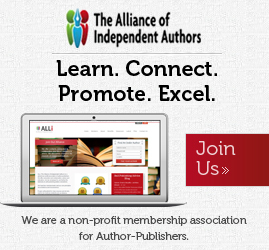 There are hundreds of self-publishing service providers in the USA alone. Unfortunately we can’t review every single one; otherwise we would end up repeating ourselves and very likely making the same point over and over again in reviews. One example is why we have yet to review a service like Google Play. It is a good question, but the reality is that most authors end up listed on Google Play via other third-party services, and at some point we have to prioritise which companies we review. Just recently we reviewed Unbound, a publisher using crowdsourcing. Draft2Digital is another company emerging as a popular choice for those who wish to publish an e-book. The best way to use the Index is to first decide the kind of company that best fits your needs, and then drill down into our individual reviews. All the companies are classified by the listing above. Just because a company is listed in the top five, it doesn’t mean you are doing something wrong by not using their services. Some authors will want to use a combination of companies to maximize revenue, particularly if you are publishing both in e-book and print. The further down the Index your choice falls as an author, the more likely you are to find a company that doesn’t tick all the boxes, and the more likely you are to experience mixed or negative feedback and less flexibility. Just because a company and their services don’t fit with your requirements, it doesn’t mean it is a bad company. We have tested the Index with a table format and we think this works better than an image. In 2015, this will be the normal format for the Index. We plan to introduce links in the Index that will take you directly to the individual review carried out by TIPM. We also plan to introduce some form of filter so authors can sort companies by classification. In other words, if you want to just filter to see the printers or DIY service companies, you will be able to do that. I hope this all explains a little more about the Publishing Service Index and how it can be used. By all means, if you have any suggestions, we are only too happy to hear them in the comments section. I would like to take this opportunity to wish all our TIPM subscribers and readers a Merry Christmas and fruitful publishing in 2015. If any review or news article on TIPM throughout 2014 has helped you on your publishing path, then we are doing something worthwhile! We look forward to your comments and support over the next 12 months. I would also like to take the opportunity to thank all our guest post writers for their input on TIPM during 2014. Manuscript (Autobiography, Christian Testimony) ready. Looking at ASP self-publishers. Where does Xlibris fit in and stack up? What about Rethink Press by Lucy and New Generation Publishing. They both seem to be publishing many titles, but can’t find their names, why? I’m looking for feedback on Christian Faith Publishing but can’t seem to find it.